Senior Team Summer Football Tournament | Balbriggan F.C. Senior Team Summer Football Tournament – Balbriggan F.C. Get down to Balbriggan F.C. 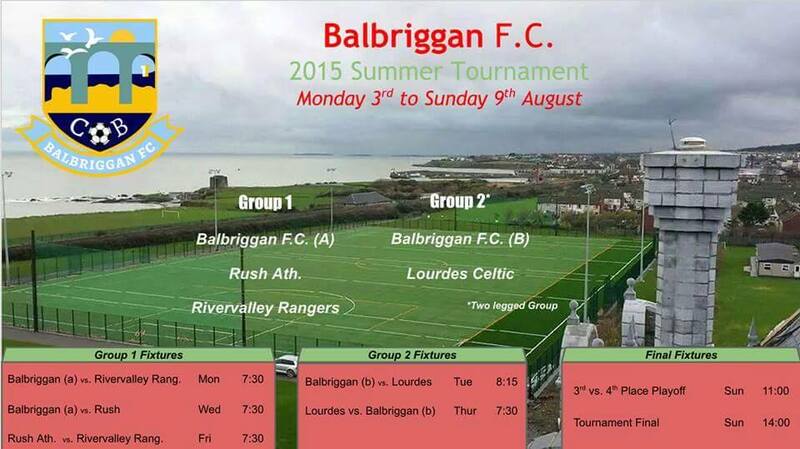 to support our senior teams in the Summer Tournament with Lourdes Celtic, Rush Athletic and Rivervalley Rangers. The final takes place this Sunday.